(46, 37x28 (2.5" hem)) mens vintage 1970s SUIT Urban Cowboy Disco style! 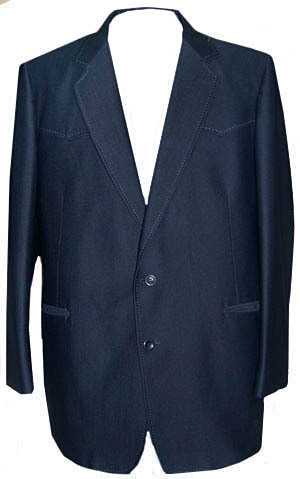 Home > Vintage Suits & Blazers > Jacket Size: 46 + > (46, 37x28 (2.5" hem)) mens vintage 1970s SUIT Urban Cowboy Disco style! Men's 1970s polyester 2-piece disco suit with urban cowboy western styling! 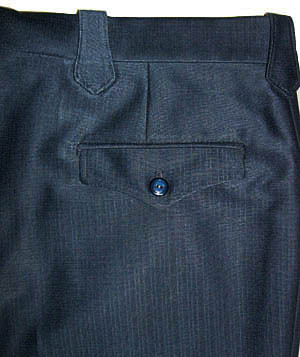 Nice dark navy blue poly with western detailed front & rear yokes. Pointy belt loops on the pants too! 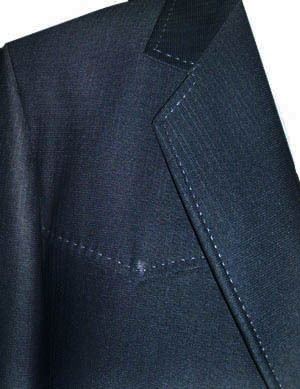 Shiny lighter blue top-stitching along the yokes and the lapels. Made by Haralson Park Clothes. 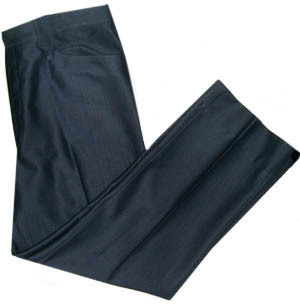 Pants have a hidden tab closure and flared legs. Great 70's suit! Condition: Very Good. a few minor marks. could use a dry cleaning. 1 top-stitch in the collar is broken.